EZ Dock can build floating pumping stations for municipalities. No matter the number or size of pumps, EZ Dock can create a custom solution and review specs and engineering details with your municipality team. 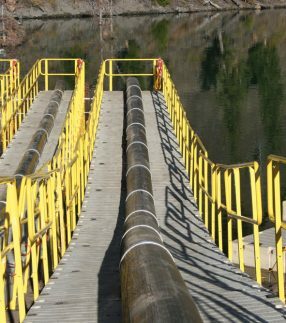 Pumping stations often require access bridges, docks and other components, and EZ Dock can provide all of these. Whether you need a drive-on bridge, a pumping station for a remote area or a larger number of high-capacity pumps, EZ Dock can make it happen. No job is too complex. We’ve worked with military and government clients, so we understand the logistical and safety requirements. Safety. Municipalities need to ensure their employees stay safe and pumps can present significant challenges, especially if they are larger. Lightweight and durable, the floating stations from EZ Dock can be configured with the safety features you choose. Durability. EZ Dock platforms are made to last. Our first docks were installed more than 26 years ago and many are still in use. All our products are designed to last, ensuring you get a great return on investment. When taxpayers want to know their municipal tax dollars are spent responsibly, you can ensure your dock is money well-spent by being a lasting investment in your community. Ease of installation. Complex installation can add considerably to total dock costs, but EZ Dock has created an easy-to-install dock which can be assembled quickly. Your pumping station can be up and running without delay. 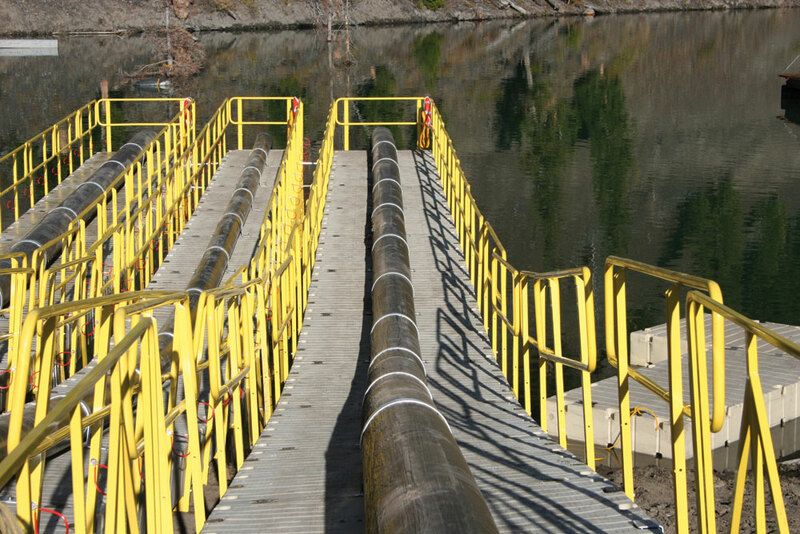 If you represent a municipality looking to design, build and install a pump station, EZ Dock has the know-how to make a system work within your budget. We can manage every step of the project and go over specifications to ensure you get the bridge, dock and other components you need. Our team can even offer support with your permit and compliance issues, surveys, environment data, site inspection, pump procurement and other steps in the process. We can test and adjust the pump station platform as needed, and since our products come with a warranty, repairs and adjustments are not a concern for you. For more information or to start designing your pump station, bridge or dock, contact EZ Dock to speak to one of our specialists.